When Does Your Child’s Behavior Need Outside Help? Kalisha is 3. She has been hitting other children at her child care center on a daily basis for 3 weeks now. The director says one more hit and Kalisha will be dismissed. Paul is 2. Just this week, he started biting at the home day care he attends each day. The child care provider is concerned and worries about the other children’s safety. Morgan is 5. She no longer wants to play with other children and has started crying each morning at kindergarten drop-off. Her parents are getting a divorce. Would you be concerned if this was your child? If so, would you know what to do or where to turn for assistance? A child’s behavior has meaning. Sometimes behavior tells us that the child is scared or sad. Sometimes behavior tells us that the child is angry or hurting. And although some children’s behaviors can be particularly troubling – like biting, hitting, tantrums, or head banging — these behaviors give us a window into the child’s world. Behavior is an expression of the child’s experience and it is up to adults to help sort through the “problem” behaviors to find their meaning and purpose. In early childhood programs, it is not unusual for some children to experience difficulty as they transition to a new classroom or teacher or work through developmental issues, temporary stressors or changes at home. However, at times a child’s behavior may become so challenging that the child is at risk of being suspended or dismissed from a program – a situation that can be incredibly stressful for both parent and child. So what can parents and educators do? The Center on the Social and Emotional Foundations for Early Learning (CSEFEL) suggests that children’s programs follow the “Teaching Pyramid” to understand and work with challenging behaviors in early childhood environments. This Pyramid has five layers – starting with a skilled team of early childhood professionals at the base of the pyramid, followed by nurturing and responsive relationships, high quality supportive environments, targeted social and emotional supports, and finally, intensive intervention at the top of the pyramid. This pyramid approach enables us to understand how qualities of the child care environment can have a positive impact on children’s behavior. When problems arise, a center, preschool, or child care provider can first look to see that a high quality environment with nurturing relationships, strong leadership, and effective programming is in place. If not, these are the areas that need attention first. For example, a program could focus on improving staff training, creating a better-organized classroom with appropriate materials, and maintaining more consistent communication with parents. If behavior problems persist, preschool teachers and child care providers can then model, guide, and explicitly teach social skills to help minimize the challenging behaviors. Yet even when all levels of the pyramid have been addressed, intensive intervention is sometimes necessary. After looking at the policies and practices of the early childhood professionals, improving relationships, and targeting emotional and social supports, it may be helpful to offer a more detailed assessment of a child’s behavior – including the development and implementation of a behavior support plan. If challenging behaviors persist, greater assistance, observation, and support may be required and a program may seek outside help from a consultant or other professional. 5. 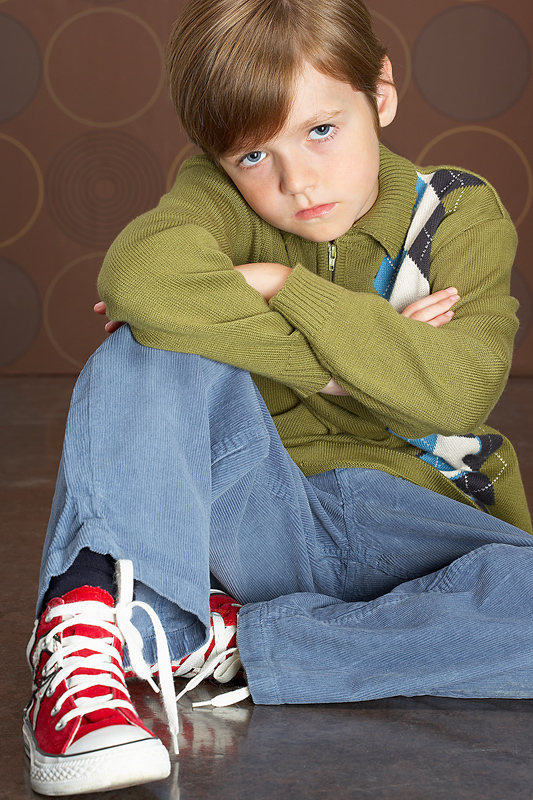 The child’s behavior seems to be linked to, triggered by, or influenced by a medical concern. If you are concerned about your child’s behavior at preschool or child care, talk with your child’s teacher to develop a plan for identifying the “communicative meaning” of your child’s behavior and identifying strategies for first improving the environment and supports available to your child. Ask teachers to keep behavior logs for your child so that you can identify patterns in behavior. You can also contact the Resource and Referral Program at the Center for Children and Families. We can help you identify resources in the community that can support your child’s well-being and your life as a family. Challenging behaviors may be a difficult part of childhood but when viewed as messengers, they can help us to provide better emotional and social support to children. Identifying and working with the meaning behind challenging behaviors can go far towards improving your child’s child care experience and success at school and home.